Fall Out Boy will be performing alongside rapper Lil Wayne this summer on VH1. The network is launching a new performance-based television series called SoundClash, which is being described by USA Today as “battle-of-the-bands concept gets a new twist.” The weekly series will feature three bands performing onstage together and will be produced by the Roots drummer Questlove. DJ/rapper Diplo will be hosting the show. The series kicks off July 23 with Lil Wayne, Fall Out Boy and British group London Grammar on the first episode. The second episode, which airs on July 30, includes Ed Sheeran and Sia, along with Grouplove. 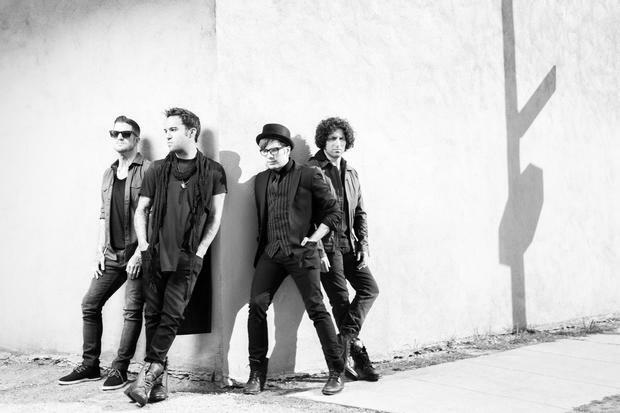 Additionally, FOB will be performing at the APMAs and are up for a bunch of awards. The band are set to embark on a massive summer co-headliner with Paramore next month, before and after which they will perform a handful of international and one-off shows. You can check out the dates below.